Navigating complex urban eco-problems with systems thinking, design and visualization. As urban inhabitants and designers, we are sensitive to the experience of the city as both a social community and built environment that creates our beliefs about the city and our society. The city’s urban ecosystems by their nature are dynamic and complex. SystemCity group is an action-based research and think tank group focused around complex urban ecosystem problems. The inter-relationships of urban infrastructure, food and shelter provision, and social/cultural network structures in our communities, requires creative visual and imaginative tools of a systemic design nature to understand and make sense of these complex urban patterns. As a research think tank, the approach is to use systems design visualization tools and methods in the collection, recognition, interpretation and identification of urban city patterns, behaviours and eco-integrated relationships. Through the use of mapping techniques, soft systems thinking analysis, and foresight methods and techniques, design collaborators can engage in interpretation and emergent sensemaking approaches to navigate, sustain and implement change. How do want to live in cites, individually and collectively? How might we build and finance sustainable and healthy communities that support and celebrate a diversity of people? Our research pays particular attention to Toronto, highlighting challenges faced by many urban centres including housing affordability; rental bias/stigma; aging housing infrastructure; ‘missing middle’ supply of affordable homes, over-reliance on condo rentals; and underutilization of viable industrial and commercial lands. Report by SystemCity Research Group, 2018. Exploring Innovation in Housing Typologies (PDF, 6.1 MB). The notion of the city as an evolving organism, where people, and the city support of soft infrastructure is as important as that hard infrastructure service systems signifies a shifting focus to human centred community planning with respect to infrastructure development. This is a research project to gather knowledge about livable community eco - infrastructure in the downtown core neighborhoods of Toronto as case studies. The investigation maps patterns of cultural, social, entrepreneurial, and residential identity and supports within the context of neighborhood land use allocations. An inventory of communal activity centres, residential typologies, social infrastructure, location, density, and amenity will provide strategic community patterns for understanding key community ecosystems. Utilizing Toronto’s downtown neighborhoods and urban fabric as laboratory, and a variety of visualization methods and map types to capture salient information,there is an enormous opportunity for knowledge visualization and mapping; graphically, digitally, and virtually. The collection, use and interpreting of data into defining patterns and behaviours is necessary for a sociological developing city, and the task of processing, and interpreting this data into strategic opportunities for new types of tools and methods for capturing, measuring, quantifying, data, and interpretive analysis in an on-going interactive way. These “livable patterns” provide information for future sustainable strategies and development such as social structure support, residential and community development, community gardens, urban farming and infrastructure building.SystemCity research will support innovation development and implementation in city infrastructure, and could work extensively with commercial and municipal partners to achieve this realization. For more information contact Jeremy Bowes. This research project is targeted at identifying alternate housing infill typologies that are appropriate for urban contexts. Garage and backyard infill, granny flats, and laneway housing are all typologies that build density without vertical concentration, and with less impact on the existing infrastructure and neighborhoods. Identifying residential typologies and development opportunities within the context of selected Toronto urban communities for potential residential infill prototypesprovides a strategic system understanding and framework for further affordable residential community possibilities and support building within this ecosystem. Opportunities for housing infill are a focus,while consideration of dwelling infill types and affordability beyond financial factors suggests alternative prototypes of co-living, shared dwelling, and other approaches to affordable urban living for the city that can be prototyped.For more information contact Jeremy Bowes. This context of a “disruptive” and a temporary city community is an exciting one, because it is not defined by zoning or urban planning but by the context of need. This research focuses on essential living elements, and available urban materials to create temporary dwelling prototypes that integrate into a variety of community contexts and provide alternatives to a variety of homelessness conditions. Exploration of stationary and mobile homeless street solutions, emergency and disaster relief needs provide a primary agenda for temporary living prototypes.For more information contact Jeremy Bowes. 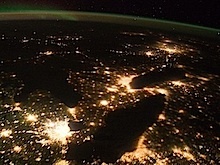 In an unprecedented study, Canada's research council for social science and humanities, SSHRC, has commissioned six regional panels to understand and imagine possible futures for the country in a global context. Strategic Innovation Lab (sLab) at OCAD University is leading University of Ontario Institute of Technology (UOIT), Ryerson, Windsor and York universities and our combined intellectual communities. Southern Ontario is witnessing increasing urbanization, and with it a host of changes, challenges and opportunities. For example, younger people are known as early adopters of new technologies, yet older people are experiencing technologies and their consequences in surprising ways. By 2050, we expect a third of Canadians to be older than 65. What kinds of services, societies, and care do we envision to support our communities in the face of these changes? By bringing you together with others who have different areas of expertise, we will imagine such future challenges together. Our participatory action research engages a diverse panel of academics, professionals, and students for a Co-laboratory workshop organized and facilitated according to principles of the Structured Dialogic Design methodology. Dialogic design is a multi-technique methodology based on human and computer-facilitated structuring of inquiry for a complex social or civic concern. Democratic by design, SDD produces strong consensus while avoiding cognitive biases, by adopting a series of language structures that conserve participant autonomy, authenticity, and shared commitment while mitigating group cognitive bias, power bias, and content complexity. Participant contributions inform our October 2012 final report to SSHRC. Findings have been taken forward to a national summit and on to further synthesis, helping to articulate Canada’s future social sciences and humanities research agenda. The Co-laboratory process relies on a well-defined sample of stakeholders selected not on "representativeness" but on principles of requisite variety. Primary stakeholders include research leaders from the academic team, who will be leading proposed research for SSHRC in the near term. Participating stakeholders includes those from business, academia, government and civil society whose programs will be touched by SSHRC research initiatives over the 5, 10, and 20 year horizons envisioned by the research for Imagining Canada's Future. Recommended readings are suggested to support particpants in developing an awareness and sensitivity to some of the significant challenges in urbanization and urban futures, especially from a social sciences perspective. We thank Dialogic Design expert Jeff Diedrich for his experienced guidance and co-facilitation of the process.